So I've put up the excerpt and the response has been crazy! I already have about 300 or so views, 1 comment, 5 readcasts, 56 embedded views lol and a couple of emails to go through but the response to it has been pretty positive so I'm kinda on a writing high lmao. But... I would love a couple more comments. Comments generate a following and a following helps writers to market their work along with reviews and testimonials. So get to it my lovely readers, write up your comments and reviews today. Also on another note, Mike Antony Antonietti is about to publish his first full sized novel possibly in both e-book format and in print so make sure you've signed up for the newsletter to get your project updates. And check back on the site frequently to get your book news fix. 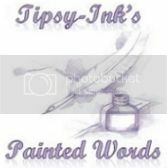 Like I've said a million times before, the Tipsy Ink Newsletter will not flood your inbox with useless emails or spam. You'll only get an email, usually once a month if that, with any deals, freebies, coupons or projects pertaining to Tipsy Ink. Nothing More, Nothing Less. I've only sent 1 email blast in late October which announced the release of Awakened, Dust and W & W.
So I'm late with the posting, as usual.... but in my defense, my arthritis has been kicking my tush and hanging me out to dry. I'm posting a small excerpt now. I still have some other projects I have to work on so bare with me as I trudge through all of them. I do apologize profusely for the wait and hope you guys like what I have so far. The excerpt I'm posting is for The Birth Curse Series Book 1 titled Gifted. Once the book is finished and published you can find this excerpt in the first portion of the book title The Latency. In case you missed Awakened, The Birth Curse Series takes place in a world similar to our own but crawling with supernatural beings run by "The Council"
Also, sometime this week I'm hoping to have the short story I promised a couple of weeks ago up for reading as I work on the cover... this book 'When the clock strike twelve' will be free indefinitely on Smashwords so if you don't have an account with them I recommend you do that, there are alot of good books for free on the site. And lastly, I'm hoping to have another excerpt typed up for a completely non supernatural series I'm writing called Knock Me Off My Choos follow the high school hi jinks of best friends Holly Sanz and Rhyz Sinclair on their quest to find their very own Cinderella type fairytale love.